In this exciting game you will get all the Rocket Ball League garages filled with different cars, each one presenting unique abilities. Play soccer driving cars and try to score several goals to get the win. Dare to enjoy this fun video game very similar to the Rocket League. You can enter a multiplayer team where other gamers join the car game on the football field. Click on this exciting game and have fun playing with people from all over the world. 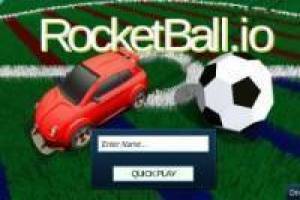 Enjoy the game Rocket ball league, it's free, it's one of our .io games we've selected.